Adventure seekers may not immediately think of Africa when searching for action-packed destinations, trekking instead to major outdoor hubs like Iceland, New Zealand, and Peru. But the continent is flush with unbeatable outdoor adventures, and nowhere are they more abundant than in Namibia. 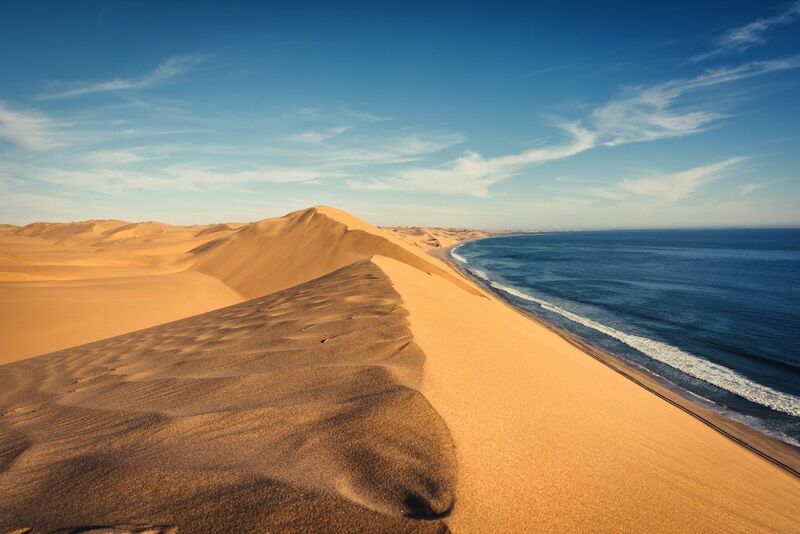 Namibia draws its name from its massive emptiness, as namib is a Nama word literally meaning “vast place.” This huge expanse in southwestern Africa is one of the most sparsely populated countries in the world. Namibia has seemingly endless deserts and unbelievable wildlife, and it’s home to one of civilization’s oldest cultures, the San people. Here’s why the country is perfect for anyone seeking non-stop excitement. The landscape is surreal and ancient. Namibia has truly been swept through the sands of time — 55 million years of it to be exact. The Namib Desert is recognized as the planet’s oldest desert and can best be explored within Namib-Naukluft National Park. At a staggering 19,216 square miles and encompassing both the Namib Desert and the Naukluft mountain ranges, it’s the largest wildlife reserve in Africa. The desert offers unusual terrain, constantly changing as you travel through the country. 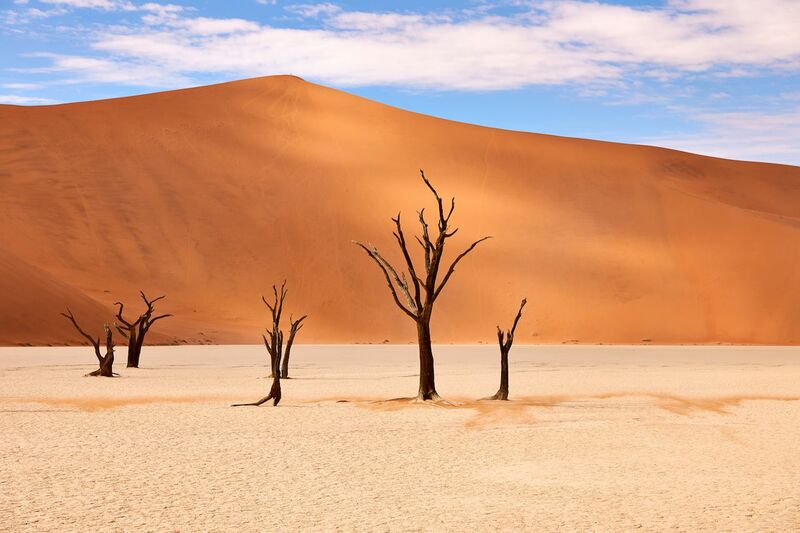 This includes Deadvlei, a clay pan of darkened tree skeletons, which cannot decompose due to the dry climate; Fish River Canyon, which is as impressive as the Grand Canyon but without the crowds; and Dune 45 with its elegant beauty. The Namib Desert is made for hiking, four-wheel driving, photography, and other epic sand-dune sports. It’s home to one of Africa’s best national parks. Etosha National Park is one of the best places in southern Africa to see wildlife, including the Big 5 (leopards, lions, rhinos, elephants, and Cape buffalos) and a huge range of birdlife, gazelle and antelope, and other African species. Although wildlife can be spotted at any time of the year, consider visiting in the dry season between May and December. 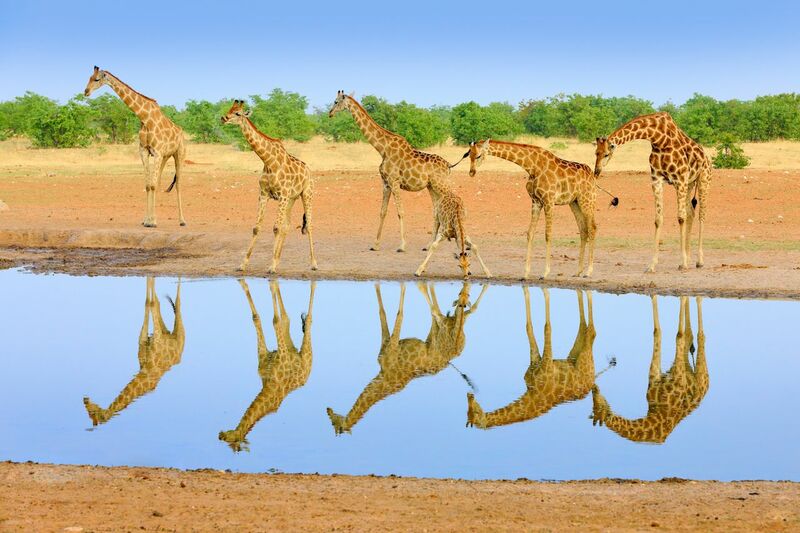 Etosha is known for its watering holes, and much of the park is made of salt flats, making water a scarce commodity. In the dry season, animals are drawn to the watering holes, making wildlife easy to spot. Game drives with a local guide are an epic way to see the 8,600-plus-square-mile park. Guides have expert knowledge on the flora and fauna of Etosha. Anything can happen on a game drive; the sheer terror of coming across a bull elephant on the road, charging directly for your vehicle (and then veering off at the last minute) is not something you’re likely to forget anytime soon. You can fall asleep to the roar of lions. Falling asleep to the roar of lions is both terrifying and extremely memorable. You can camp in Etosha National Park’s designated various camping areas. Since Etosha is so remote and unspoiled, it’s also a fantastic place for stargazing and watching the night sky. Although protected from the wild, the campgrounds are still very close to the habitat of the park’s animals. If you’re lucky enough to stay at Okaukuejo Camp, it’s best known for its floodlit waterhole, making for prime wildlife viewing both day and night. The watering holes attract creatures big and small, including lions. 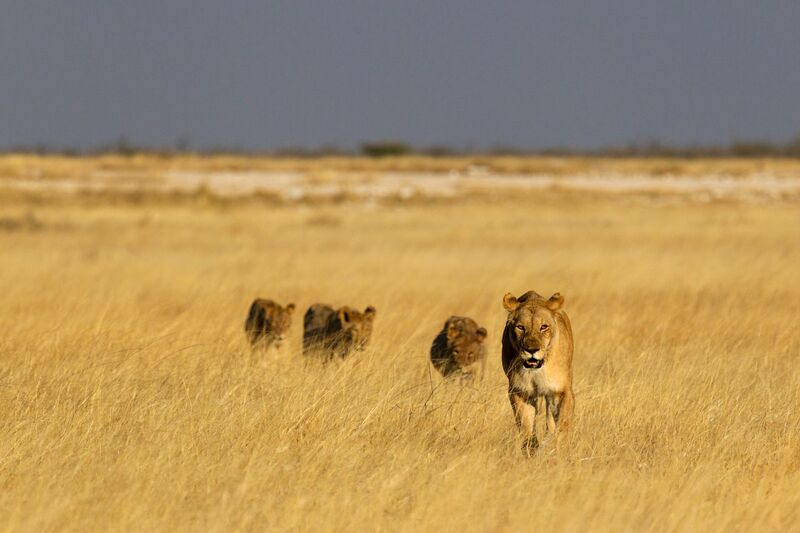 If you are lucky enough to hear it, the sheer power from the roar of a lion is hard to describe — but it does quickly remind you of your place on the food chain within Etosha. As I drifted off to sleep, all alone with just my tent for company, the flimsy structure suddenly no longer felt as secure as it did in the daytime. Adventurous foodies will love it. Namibian cuisine is best known for its wild game. Try a grilled steak or barbeque of kudu, eland, or springbok (all part of the antelope family), zebra, or crocodile, each of which is a delicious Namibian delicacy. Biltong, or dried meat, is also popular and makes for an easy snack on the road. 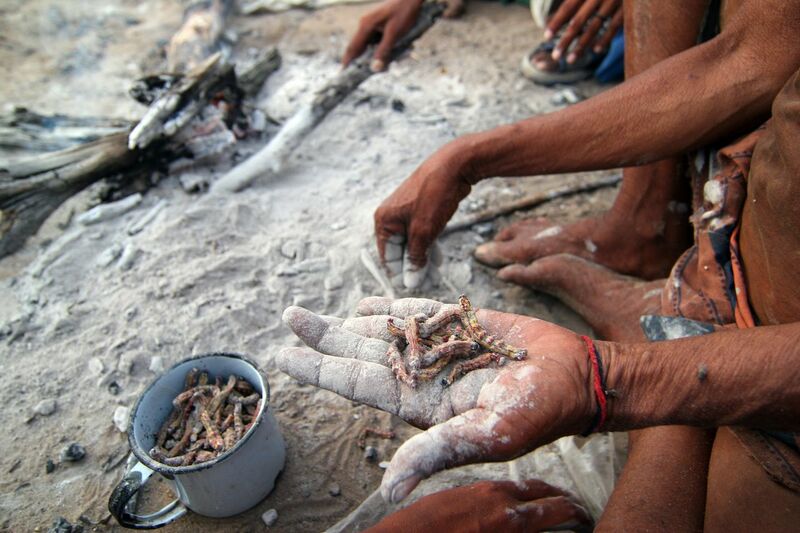 Mopane worms are a unique specialty of the Oshiwambo community, and you need to try them while in Namibia. They’re actually small caterpillars, usually served fried, and are an important source of protein for many in southern Africa. Although the Namibian food scene is heavy on meat, you can usually find vegetarian options when traveling. It’s a haven for German beer aficionados. If caterpillars don’t strike your fancy, delicious chicken schnitzels and German beers on tap are aplenty in Namibia, given the lasting impact of German colonization. Look for German restaurants, architecture, and influence, especially in Windhoek, Walvis Bay, and Swakopmund. If you find yourself on a road trip anywhere near the outpost of Solitaire, step into the bakery for the famous apple strudel, a delicious and unexpected taste of old-world Europe in the Namibian desert. It’s the only real shop and gas station between the Sossusvlei dunes and the coast of Walvis Bay, a perfect excuse for stopping for dessert. Swakopmund was made for extreme thrills. Adrenaline junkies need to spend a few days in Swakopmund. 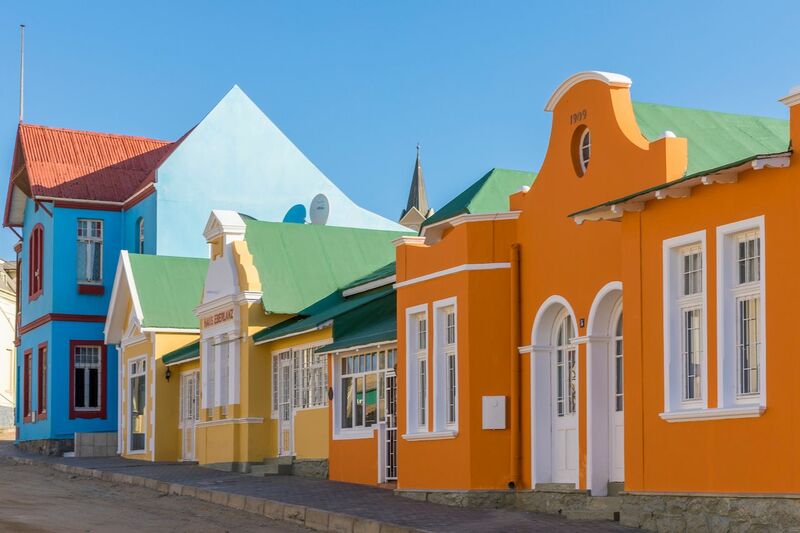 This town is the perfect base to explore the Namib Desert and is the premier location in the country for adventure sports. Try sandboarding down the dunes, quad biking, or four-wheel driving through Sandwich Harbour, where the dunes and the Atlantic Ocean meet dramatically. Many tour operators offer discounts if you book multiple tours, so consider going with the same company if you have a few activities you want to try. Skydiving, hot-air ballooning, and 4WD nature and wildlife tours are also popular in this seafront town with a large number of guesthouses and restaurants catering to tourists. For a special treat, consider splurging for dinner at The Tug, a waterfront seafood restaurant known for its fresh fish and a favorite of Swakopmund frequent Angelina Jolie. Dune 45 and Big Daddy will leave you breathless in more ways than one. 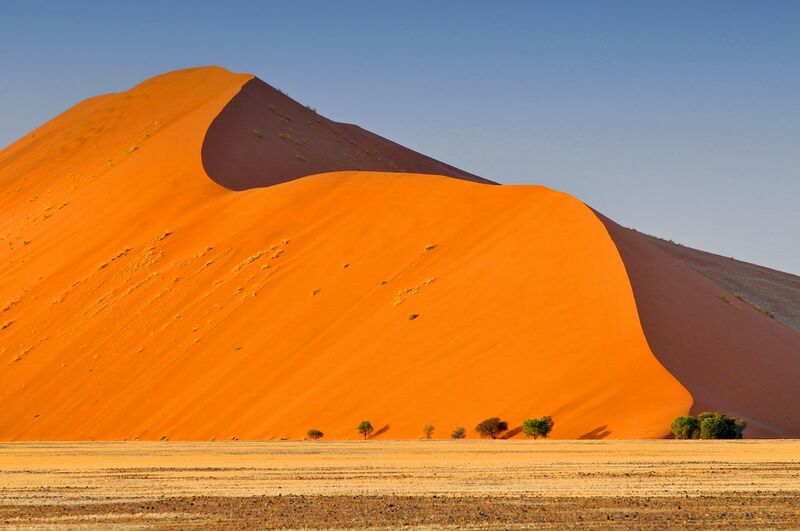 Two of Namibia’s most famous sand dunes, Dune 45 and Big Daddy, both within the Sossusvlei region, are highlights of any trip to Namibia. Big Daddy is known for being the tallest dune in the region while Dune 45 is known for its easy access and title of the most-photographed landmark in the country. Climbing barefoot is easier, and your shoes would quickly fill with sand, anyway. The imposing dunes, with their impossibly perfect shapes and angles, present an enticing challenge to hikers and are hard to resist. However, the dunes are deceptively large, so don’t underestimate the time it takes to reach the peak. Set off at sunrise to avoid the midday heat. The orange-red sand will still be cool, and the windswept dunes create constantly changing geometric designs and shapes. No two visits will ever be exactly the same.